Pronoun cases confuse everybody. You polish an essay so that its sentences shine, and then you get marked down for “The snipe hunt had to proceed without Fred, Mort, and I” because you’ve used the wrong pronoun case. You should have said “me,” not “I.” But how are you supposed to know that? 1. Know your cases. Many languages are heavily inflected; in those languages, nouns and pronouns and the words that modify them have many cases, and which case you should use is determined by the function of the word in the sentence. In English, only pronouns are inflected, which is probably why we have so much trouble with them (unlike speakers of, say, Russian, we’re not used to the basic idea of inflection). Pronouns are the only parts of speech in English which have cases: nominative, objective, and possessive. If you know which case is called for in your sentence, you should simply choose the correct case of that pronoun. Objective case is used when the pronoun is acting as the object of a verb (She slandered him) or the object of a preposition (He danced with her; he didn’t care with whom he danced) or the subject of an infinitive phrase (Harold didn’t want her to dance with George). Objective case pronouns are: me, us, him, her, them, whom, myself, ourselves, himself, herself, whomever. Possessive case is used when the pronoun is indicating possession (She dropped her glass; My foot hurts; That dog is theirs; Whose shoe is this?). Possessive pronouns include my, mine, our, ours, his, her, hers, its, their, theirs, whose. 2. If all that inflection business is just too cumbersome, don’t worry about it. You can still pick the correct case for your pronoun by making use of your own ear. Incorrect pronoun cases just don’t “sound right,” at least not when you understand how the sentence is put together. Since most of the confusion is between nominative and objective cases, let’s focus on those. Is a pronoun the singular subject of your sentence? Your ear will tell you right away that “Me is sorry about your broken leg” is just wrong, as is “Him missed his plane last night.” Your ear will steer you right every time. Is the pronoun one of the plural subjects of your sentence? This is trickier. “Adam and me are going to the movies” doesn’t sound as deeply wrong as “Me is going to the movies.” But note that if you simply remove the other subject, your ear will pick up the fact that you’ve used the wrong case. If “me” is wrong for a single-subject sentence, it’s just as wrong for a plural-subject sentence. So: When you’ve got a multiple subject (two or more) in your clause, remove all subjects but the pronoun. Then pick the pronoun case that sounds right. Is the pronoun used to the right of the “to be” verb in a sentence such as “The murderer is ______” or “Without a doubt, the winner of the pie-eating contest will be ________”? This is tricky, too, since “The murderer is him” doesn’t sound all that wrong. But if you switch the sentence around—and because it’s a “to be” sentence, you can do this, since the verb in such sentences acts like an equal sign—you get “Him is the murderer.” And that’s certainly wrong! So: In an X = Y type of sentence, where Y is a pronoun, switch the order to Y = X, and you’ll hear what case to use. Is the pronoun one of the plural objects of a verb or preposition? If so, perform the same “ear experiment” you just performed with plural subjects. Remove all of the other objects; then you’ll know that, for instance, “The sky’s the limit for Roger, Sarah, and I” is dead wrong, because you’d never say “The sky’s the limit for I.” So: When you’ve got a multiple object of a preposition or verb, remove all objects but the pronoun. Then pick the pronoun case that sounds right. Who and whom provide a special challenge: Although they’re always used as singular subject or objects, our ear doesn’t always help us choose the correct case, at least not in examples like “Who/whom did you invite?” “Who” is wrong, but it doesn’t “sound” wrong. Still, you can help your ear if you (1) answer the question (i.e., put the question in the form of an answer) and (2) substitute the pronouns “he” (nominative) and “him” (objective) for “who” and “whom”: “Who/whom did you invite?” becomes “You invited who/whom” and then “You invited he/him.” Would you say “You invited he”? Of course not! You’d use “him.” So “whom” should be used in “Whom did you invite”? So: Don't let pronoun cases intimidate you. 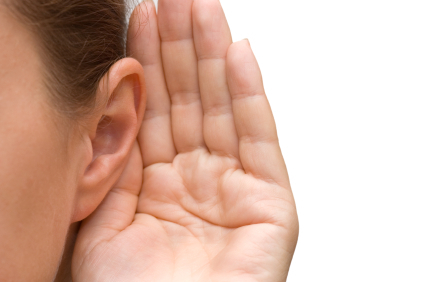 Take charge of them either by understanding inflections or by relying on your ear. Published on January 28, 2014 by Guest.